An early advocate and pioneer of digital distribution and filmmaking, Liz is a digital film and media expert. She is the Founder and CEO of Power the Pixel (PttP), an organisation that supports the film and media industries in their transition to a digital age. PttP organises the annual ground-breaking Cross-Media Film Forum in association with The BFI London Film Festival. This event connects the film and media industries with key innovators of the digital revolution, pioneering new models of storytelling, finance and distribution, in a conference, a think tank and a cross-media marketplace called The Pixel Market. The company also runs the Pixel Lab, a first of its kind project-focused business development course for cross-media properties. The company has just launched the Pixel Report www.thepixelreport.org a new online resource devoted to showcasing new forms of storytelling, film-making and cross-media business development. Liz also advises many international media organisations including the UK Film Council where she is Digital Distribution Strategy Advisor. She is invited regularly to speak at international conferences, film festivals and leading film schools including Berlin, Cannes, Rotterdam, Dubai, London and Edinburgh Film Festivals, Screen International Conferences and lectured at EAVE, The Media Business School in Ronda, BAFTA, The National Film and Television School, The BFI, Skillset and the ICA in London. Liz was the Programme Director of Digimart’s Global Digital Distribution Summit, www.digimart.org in Montréal, another ground-breaking forum that brought together for the first time ever leading filmmakers, innovators and digital pioneers from around the world, who are building new film distribution models. 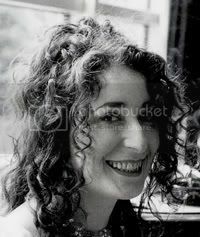 Liz set up and ran the UK office for Next Wave Films (a Santa Monica based company of the Independent Film Channel US) from 1998 to 2002. Next Wave Films was a pioneer in the production, finance and sales of low budget features and digital filmmaking. The company helped exceptionally talented filmmakers, from the US and abroad, launch their careers. Their award winning films include Christopher Nolan’s Following (Winner: Tiger Award, Rotterdam ’99, Silver Hitchcock, Dinard ’99), Joe Carnahan’s Blood, Guts, Bullets & Octane, Kate Davis’ Southern Comfort (Grand Jury Prize, Sundance ’01), David and Laurie Shapiro’s Keep The River On Your Right: A Modern Cannibal Tale (Special Jury Award, Amsterdam ’00), Amir Bar-Lev’s Fighter (Best Documentary, Karlovy Vary ’00), Josh Aronson’s Sound and Fury (Grand Jury Prize, Sundance ’00, Academy Award nomination ’01).